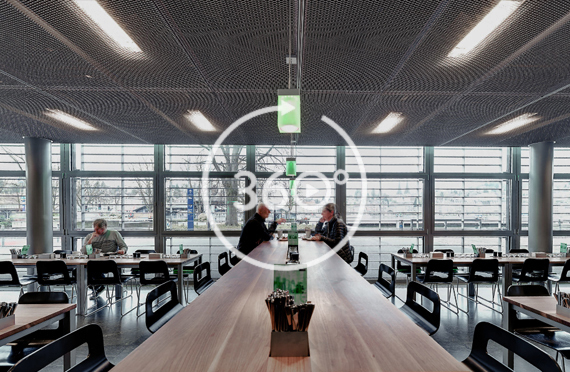 The World Café at KKL Luzern combines a café and restaurant in one on the shore of Lake Lucerne. 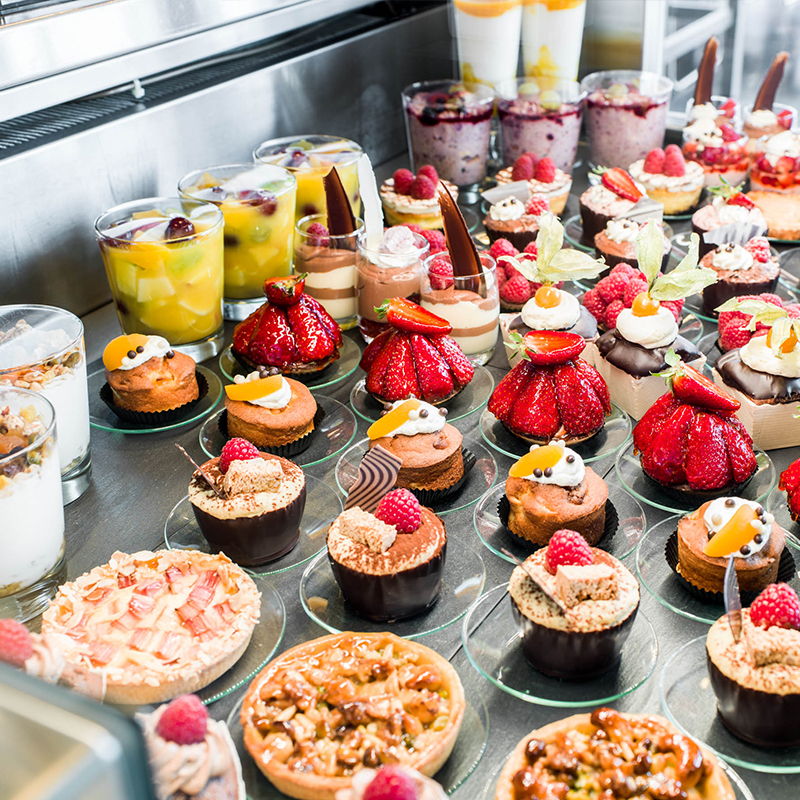 It is the ideal place for those who want to grab a delightful bite or drink, as well as those who want to stay longer and enjoy. 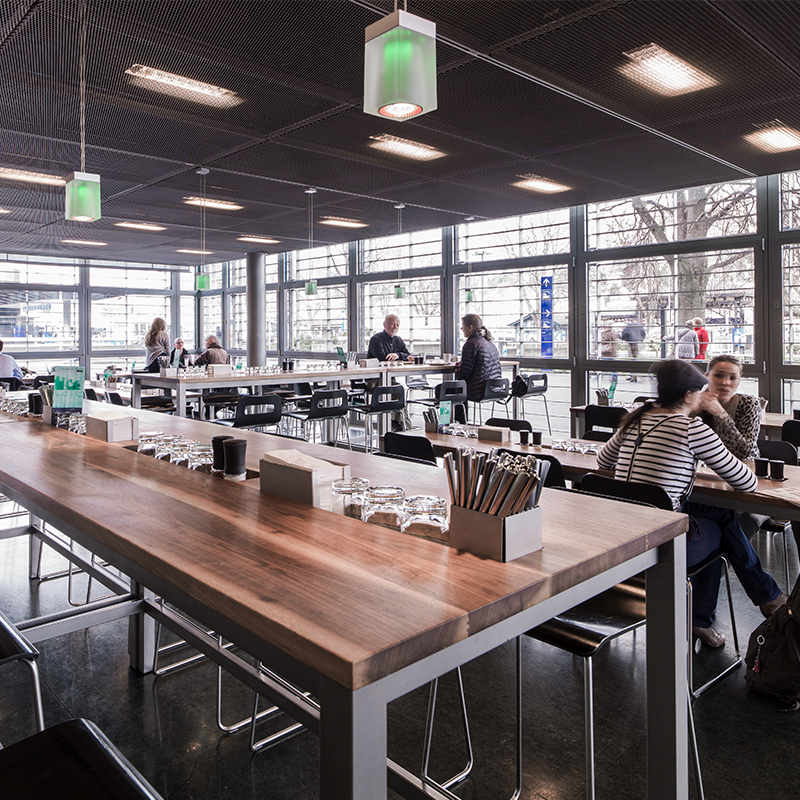 On the menu of the World Café is a range of coffee, sweet treats and snacks such as wraps or antipasti – along with salads, lunch menus and weekly themed offerings. 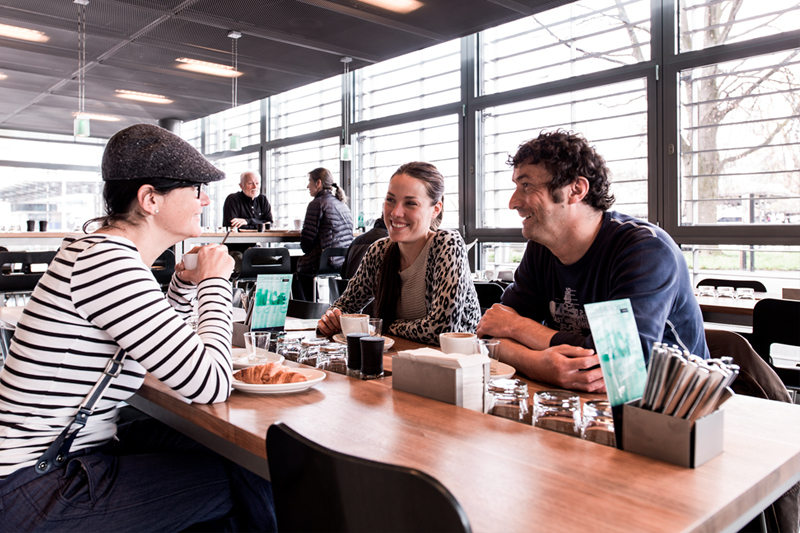 The World Café is open for you daily from 9am until 8pm. 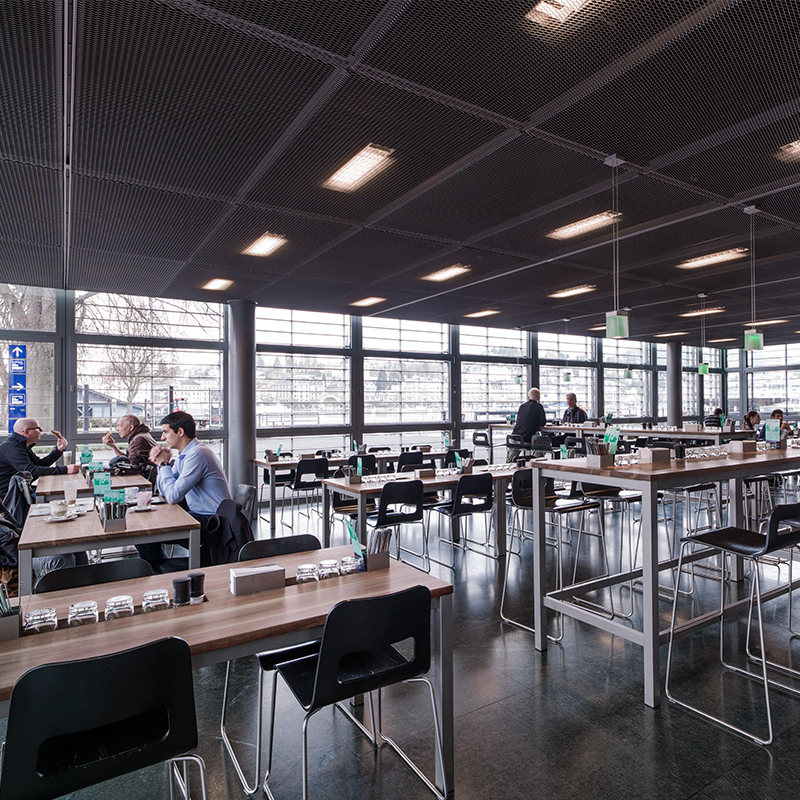 On event nights, the restaurant is also open until one hour after the close of the event. From China to Thailand and then to Italy – choose your favourite menu from our international card. 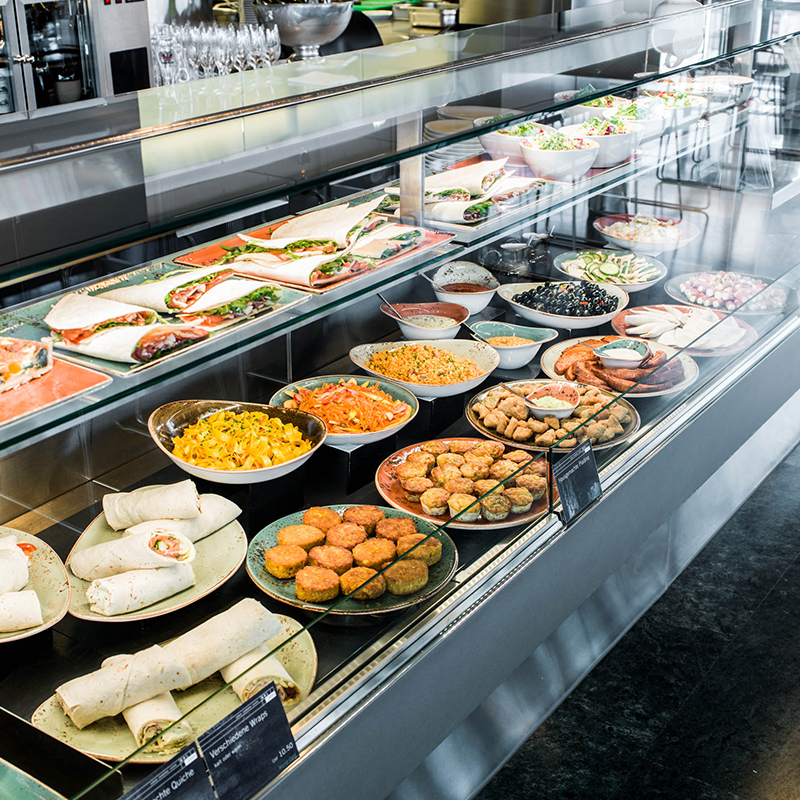 Our salad buffet is fresh, crisp and exciting. 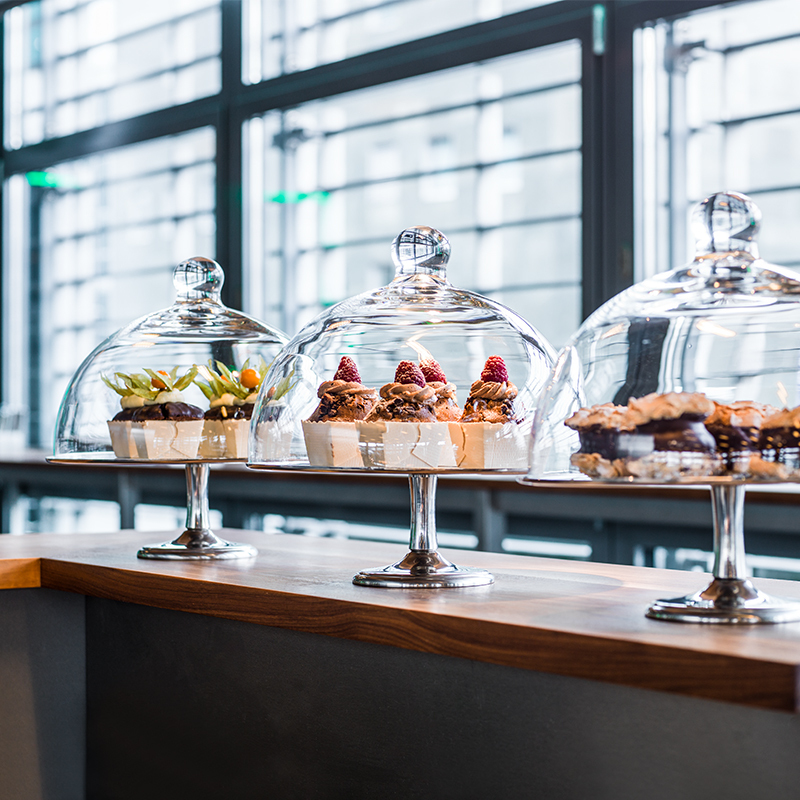 The World Café lets you enjoy the simple delights of the café culture with a sweet treat and the chance to immerse yourself in a conversation with friends. The World Café offers a ten percent discount on all take-away orders. 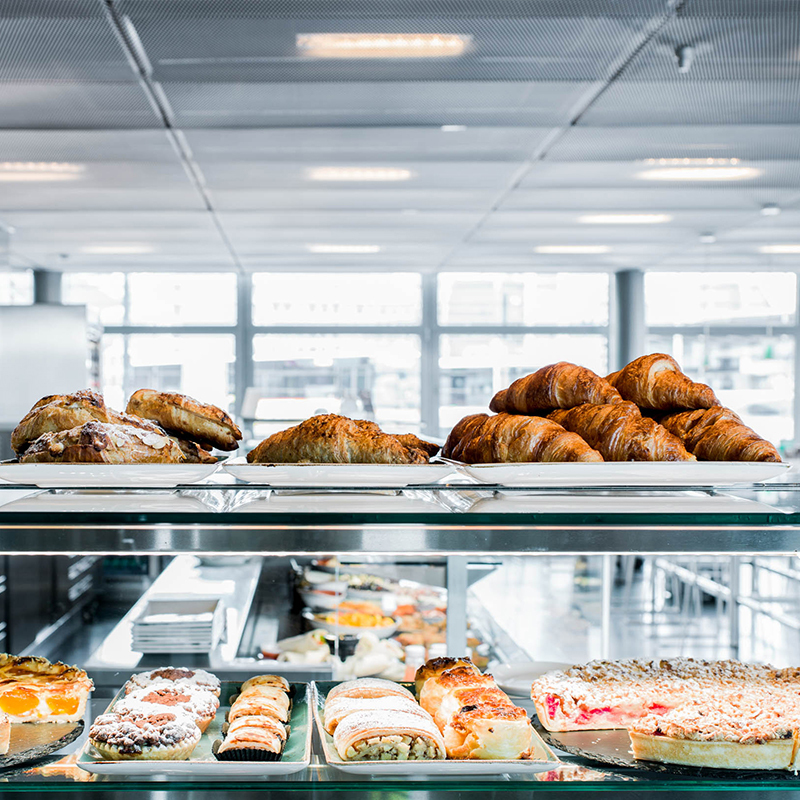 The offer includes various menus and salads as well as drinks, snacks and coffee.